Students Cassidy Hofschulte, Rhyarna McBride, Kendall McDermott, and Andrea Menendez have won a total of $20K in scholarship money from the YMA Fashion Scholarship Fund. 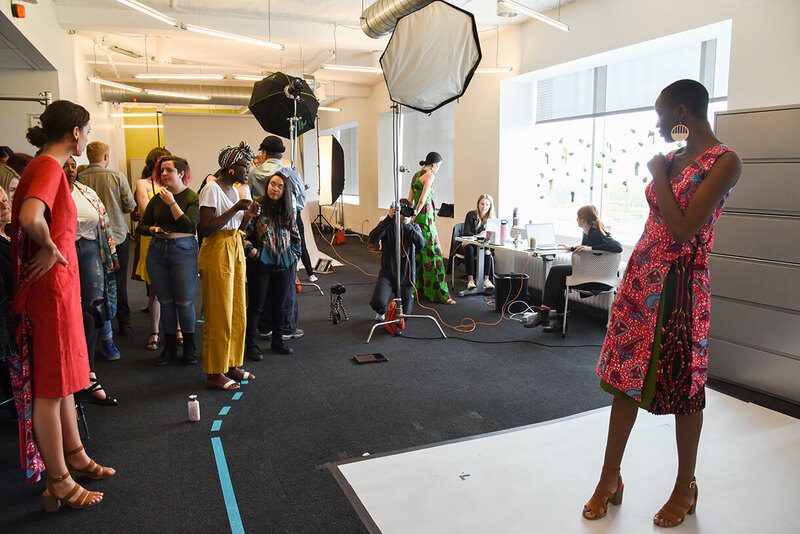 For the third year in a row, Columbia has competed as a member school for the YMA Fashion Scholarship Fund (FSF), the premier educational fashion non-profit in the United States. This year, students Cassidy Hofschulte, Rhyarna Mcbride, Kendall McDermott, and Andrea Menendez have won a total of $20K in scholarship money from the YMA Fashion Scholarship Fund. Along with the scholarship money, the four students have an all-expenses-paid trip to New York City to receive their awards at the 2019 gala and will be eligible for additional cash. According to Fashion Studies Chair Colbey Reid, two of the students have already been approached for job interviews while participating by YMA member companies. Each of the students wrote a 10-15 page case including industry research, creative marketing, product development, and financial projections where they strategized a retail/brand that might expand their business from the US to another country or to the US from another country. FSF received 740 applicants from creative and business disciplines. This year, they awarded more than $1,100,000 to 208 applicants from 64 member schools.